How are the training exercises structured this time round? There are eight types of Devilish Training, nine types of Supplemental Training, and nine types of traditional Brain Training activities. What are those like and how did you organise them? All of the Devilish Training exercises are new. The team began by coming up with challenging tasks, such as the n-back exercises. So you thought of various training activities that would require players to memorise things while at the same time processing other information. That’s right. We made various prototypes and had Dr. Kawashima look at the ones that made it through the team’s selection process. We then included the exercises that Dr. Kawashima verified as actually training the working memory. 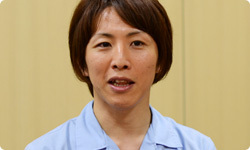 With regards to Supplemental Training, Dr. Kawashima gave us guidance on exercises that would train processing speed. So you were thinking about both mental capacity and processing speed? That’s right. Devilish Training increases working memory capacity, while Supplemental Training trains the processing speed of working memory. Why did you use the term ‘supplemental’? At first, we thought of them all as Devilish Training, but the Supplemental Training exercises aren’t quite as ferocious. So the training activities that raise mental processing speed don’t feel all that harsh? No. They’re closer to traditional Brain Training games, so if you play them in between Devilish Training sessions, they can even feel relaxing. So, we classified them as being Supplemental Training, since they effectively support Devilish Training. The third category, Brain Training, includes new activities, and the intention right from the start was to make these relaxing. We actually tried to prepare a lot of relaxing activities this time. That was because no matter what a player’s precise goal might be, we want them to play every day. We knew all about Germ Buster5 game in More Brain Training, after all.5 Germ Buster: A puzzle game included in More Brain Training from Dr Kawashima: How Old is Your Brain? It was a game intended as a relaxing interlude and was based on the game Dr. Mario. There were a lot of people who were playing More Brain Training every day simply because they want to play Germ Buster, weren’t there? (laughs) It’s funny to hear you say ‘reluctantly’ with regard to your own game! Germ Buster , then the more relaxing activities we include in the game, the more people will play it. So we created a lot of new activities. To determine whether they were really relaxing or not, it was necessary to measure blood flow to the brain, so we borrowed an optical topography6 device from The Kawashima Laboratory.6 Optical topography: A medical procedure used to examine brain activity. It measures activity on the surface of the brain in areas responsible for motor, language, and other functions. 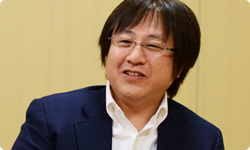 That way you could measure blood flow in the brain right here at Nintendo without going all the way to The Kawashima Laboratory. Right. We would measure blood flow as we came up with each new exercise, but what we had intended to be relaxed turned out to be stimulating the brain! Really? I seem to remember that in a previous Brain Training title, you tried to make an exercise that would stimulate the brain, but it was actually relaxing. This time it’s the other way round! Right. We tried a number of things – like adding soothing background music – but it was still stimulating the brain. Despite having worked on Brain Training for so long, we still don’t know whether something is going to stimulate the brain or not. Yes, we don’t know what the effects will be until we actually do the measurement. Every time we needed to measure brain activity, we would ask Dr. Kawashima to analyse it, and no matter what we did, he kept saying that the brain was perking up. We were at a loss until he suggested including these exercises as Brain Training, so we categorised them in that way. So you came up with a lot of relaxing activities because you thought they would motivate players to keep training, but you actually ended up increasing the number of Brain Training activities. Blob Blast which did manage to meet our strict criteria and qualified as a relaxation exercise. 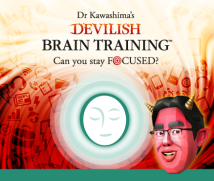 So now that you have completed Devilish Brain Training, when you were constantly thinking of ways to get as many people as possible to persevere with its strict brand of training, how do you think it turned out? In order to get players to stick with it, repetition of exercises at around the same difficulty level is important, so in comparison with the early prototype, I got the team to loosen the way the difficulty level is raised or lowered. 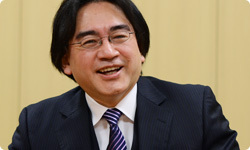 In addition, as we discussed earlier, we worked on how Dr. Kawashima appeared in the game, and I have the feeling that a lot of people will respond positively to this game. It may have taken some time, but I think that by building up this whole range of ideas, you have really built something very solid. What I mean to say is that I feel you have managed to attain a certain threshold, and that all of your steadfast efforts have really paid off. The concept of the game was always an appealing one, and had a great deal of potential, but I think if you had gone about making this game in the usual manner, it could well have resulted in a title that would have quickly made a lot of players give up. But you kept plugging away and it has turned out to be something that ordinary players will enjoy and want to play on a regular basis. When I played the prototype software that Kawamoto-san came up with, my initial response was, “There’s no way this is going to work!” But in the end, it turned out to be a title that even I can keep playing. When I was working on debugging it, I came to feel that was a title I could happily play every morning. If you think back to the prototype you made two years ago, that’s an astounding change.